One major challenge in buying a printer is factoring in the cost of ink and paper. In this regard, consulting an in-store expert can make your life dramatically less confusing (and less expensive). Here is what our research shows for which retailers do that the best for printers. In our evaluations, Best Buy captured the top spot, followed closely by CDW and Staples. Best Buy stores have a good selection of printers and, overall, well-informed salespeople. We also asked salespeople questions that tested their knowledge of printers in general and of some specific models. During a 25-minute phone call we made to a Minneapolis Best Buy, the sales rep asked insightful questions, made sound recommendations, and remained upbeat and enthusiastic throughout the process. 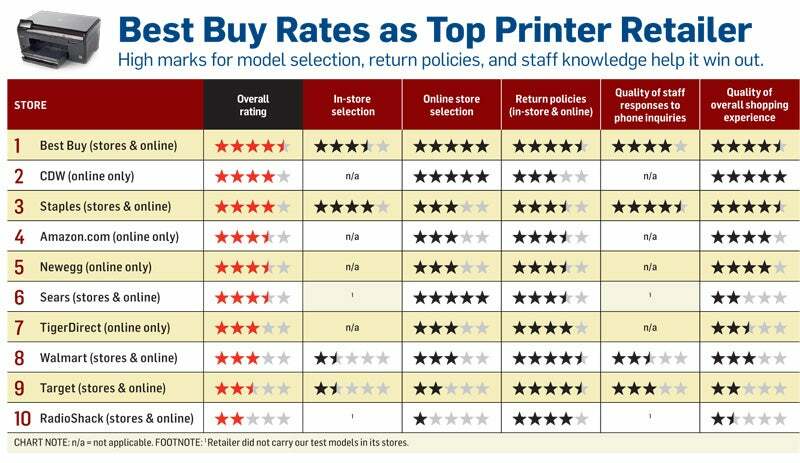 Online, Best Buy offers even more printer models, along with useful product information, even though its ink-cartridge data was not conveniently located. 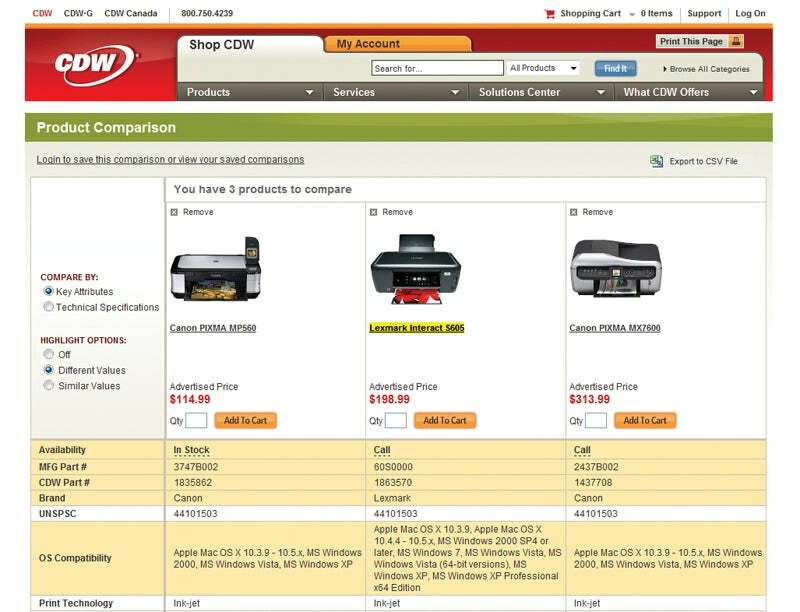 Similarly, CDW's Website had a vast inventory, and its product listings included multiple photos, specifications, and ink-cartridge information. We ranked them second (click to enlarge the accompanying chart to see how all the stores fared in our rankings for printers). Staples came in a close third behind Best Buy and CDW in the printers category. Its in-store staff gave fairly knowledgeable responses to our test questions. Its Website was easy to use, but the selection was smaller than the two higher-rated sellers'. Amazon.com earned a middling grade for its offerings. Because Amazon (like Sears.com) aggregates third-party retailers, it can present a larger selection than many other re­­tailers can, which makes comparing prices much simpler. But aggregating also makes the data less consistent and forces you to dig deeper to find the shipping and return policies that apply to your particular purchase. Though we found the Sears Website to be an acceptable place to shop for a printer, at least one of the retailer's brick-and-mortar stores was not. Our in-store shopper found minimal inventory on the premises, and none of the specific products we targeted. When asked for advice, the store assistant relied on personal experience, rather than hard data, for recommendations. Our least favorite retailers for printers were RadioShack (in-store and online) and TigerDirect (online only) . RadioShack had sparse inventories, and many items listed at the site weren't in stock. TigerDirect had an okay inventory and useful product data, but a cluttered interface and high shipping costs turned us off. The cost of consumables (ink in particular, but also special photo paper in the case of photo printers) is the hardest printer data to identify, so the most useful Websites provided links to the relevant ink cartridges directly from the printer's product page. Unfortunately, all too often, cost-per-page information was difficult to obtain, both online and in conversations with store staff. We asked each store about the availability of four color inkjent multifunction printers: The Canon Pixma MP560, the Canon Pixma MX7600, the HP Photosmart Plus, and the Lexmark Interact S605. Q: How can I determine this printer's print cost per page? A: Find the printer's ink or toner cartridge prices, and go online to look up its page yields. Divide price by page yield to calculate the relevant cost per page. Q: Which of these printers has the lowest cost per page? A:Again, price the cartridges and check the page yields on the packaging or online; alternatively, if you buy a printer equipped with high-yield cartridges (in this case either the Photosmart Plus or the Lexmark Interact S605), you'll at least have lower thatn if you ran the same printer with standard-yield cartridges. Q: Which printer would be best for photos? A: First you have to decide whether you want a printer with media-card slots or a PictBridge port. It's important to be aware, too, that photo paper gives the best results; and if you plan to print a lot of photos, you might want to consider buying a dedicated unit--either a snapshot printer or a high-end photo inkjet. See "Technology's Most (and Least) Reliable Brands"--our annual reader survey of reliability and service for tech products, including printers. 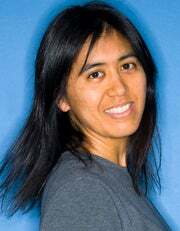 Senior Editor Melissa Riofrio is a member of the PCWorld Reviews staff, where she covers printers.